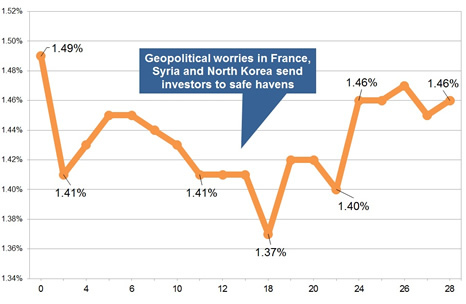 Annuities are lower for a second month in a row as geopolitical worries over the elections in France and US conflict with Syria and North Korea send investors to safe havens. The 15-year gilt yields decreased by only 3 basis points to 1.46% during the month and dipped lower to 1.37% due to geopolitical uncertainty after worries over the elections in France, the US conflict with Syria and tensions with North Korea send investors to safe havens of gilts and bonds. Over the medium term of three months yields are 33 basis points lower compared to the high for the year reached on 26 January of 1.88% with standard providers decreased rates by an average of -5.25% and we would expect in the medium term rates may increase further by 1.95%. 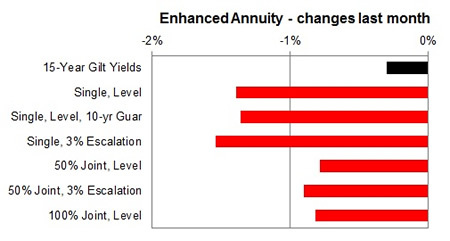 For smoker and enhanced annuity providers decreased their rates by an average of -4.28% on average and in the short term rates may increase by 0.98%. For the month of April 0% of annuity rates increased with 0% remaining unchanged and 100% decreasing by no more than 3.4%. 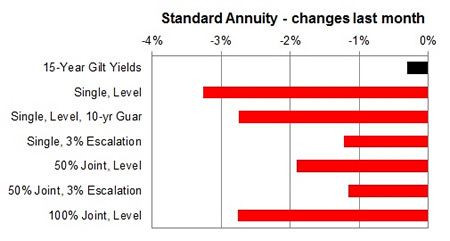 Standard annuities decreased by an average of -1.81% during the month. 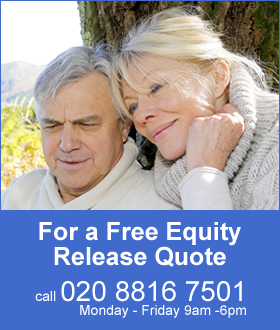 For those aged 75 buying a single life or joint life on a 3% escalating basis with decreases of up to -3.4%. The highest decrease was for those aged 70 to 75 on a single life and 100% joint life and level rate decreasing by -3.0% to 3.4%. For enhanced and smoker providers rates decreased by an average of -1.24% with a larger fall of -1.8% for those aged 70 to 75 buying single life, on a level, 3% escalating and 10 year guarantee basis.